ICAP plc, a leading markets operator and provider of post trade risk mitigation and information services, announces that the 23rd annual global Charity Day will be held on Wednesday, December 9, 2015. On this day, 100% of ICAP’s revenues and commissions generated globally will be donated to more than 200 charities worldwide. Since Charity Day was launched in December 1993, ICAP has raised more than $189 million for 1,800 charities worldwide. In 2014 alone, $12.5 million was raised by ICAP’s 60 plus offices, for 200 charitable projects. This is equivalent to 3% of ICAP’s full year pre-tax profit for 2014/2015. This year, Charity Day will again be raising funds for another 200 charities globally, of which approximately 50 are supported from the US effort. On the day, many of these charities will be joined by their celebrity patrons who will speak directly to ICAP’s customers on the phone to close deals, boosting trading volumes in the process. For 2015, Hope for a Healthier Humanity, Big Brothers Big Sisters, ALS Association, and United Way are some of the charities supported in the US by ICAP. 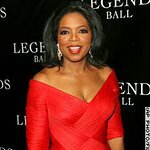 In the past, Oprah Winfrey, President George W. Bush, Meryl Streep, Eli Manning, Daniel Craig and many other distinguished guests have attended to lend their support to ICAP and its charities.